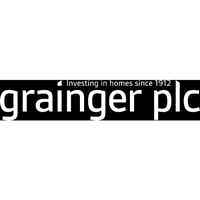 Grainger plc (LON:GRI), the UK’s largest listed residential landlord and leader in the UK private rented sector (PRS), today announced that it has agreed to forward fund and acquire a 373-home PRS development (known as ‘build to rent’) at Exchange Square in Birmingham for c.£77m. The developer is Nikal Limited. The transaction is subject to a number of conditions that the developer must meet, including securing planning consent. When these conditions are satisfied, the transaction will become unconditional, anticipated in mid 2019, after which the scheme will be fully secured, and construction will commence. The scheme will form part of a new urban village at Exchange Square. The building will be a prestigious landmark for those arriving at the Birmingham HS2 Curzon Street Station, which is directly opposite the site, providing a gateway into the city centre and will link residents to London in 49 minutes. 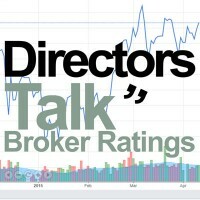 Grainger expects this investment to generate a gross yield on cost in excess of 6.5% once stabilised, with completion anticipated in 2022. This is a highly attractive investment opportunity in a prominent, central location in Birmingham and meets Grainger’s strict and disciplined investment criteria. The scheme builds on Grainger’s existing portfolio of PRS investments in Birmingham which will provide scale and operational efficiencies once practical completion has been achieved. “The skyline in Birmingham City Centre is changing rapidly and investment and confidence is at an all-time high. The desire for people to live in the city forms part of our exciting future. This investment by Grainger is testimony to the global positioning of Birmingham. Click GRI for the full archive.